Seth MacFarlane and Emma Stone announced Oscar nominations for the 2013 Academy Awards on Thursday morning, January 10th at 5:38 a.m. Pacific Time. Amazingly, all 5 best actor nominees have won Oscars before. Also worth mentioning is that best actress nominee, Jennifer Lawrence, "Silver Linings Playbook," is the youngest actress to have 2 Oscar nominations by age 22. Silver Linings is the only movie to have all 4 acting category nominations – the last time this milestone was reached was 39 years ago from the film "Reds" in 1981. "Lincoln" received the most Oscar nominations including best director category, and this film will most likely win “best picture” as it is very difficult for a film to receive that without also receiving a nomination for best director, and this epic film leads the pack with 12 nominations. A few surprises were that past film director Oscar winners, Catherine Bigelow, "Zero Dark Thirty," Ben Affleck for “Argo,” and Tom Hooper for “Les Miserables,” did not receive best director nominations. Also, Affleck did not get nominated in the “Best Actor” category. No director nomination for Quentin Tarantino for "Django Unchanged;" however, this controversial movie did receive nominations for best picture and original screenplay. Silver Linings Playbook received nominations for just about every popular category. Quvenshane' Wallis for Beast of the Southern Wild is the youngest actress at 9 years young (and only 6 at the time of filming), to receive an Oscar nomination for best actress. The oldest Oscar nominee is Emmanuelle Riva for Amour who will be 86 years old on Oscar night. The Golden Globes will take place Sunday, January 13th and is voted by the Hollywood Foreign Press. Oscar night this year will be Sunday, February 24th. For FULL COVERAGE: The 85th Annual Academy Awards visit the “Oscar Nominee.” Website. Many notable correspondents and critics were disappointed that Catherine Bigelow, Ben Affleck, and Tom Hooper did not receive nominations for best director. What do you think? Should the Academy of Motion Picture Arts and Sciences do a recall for this category? 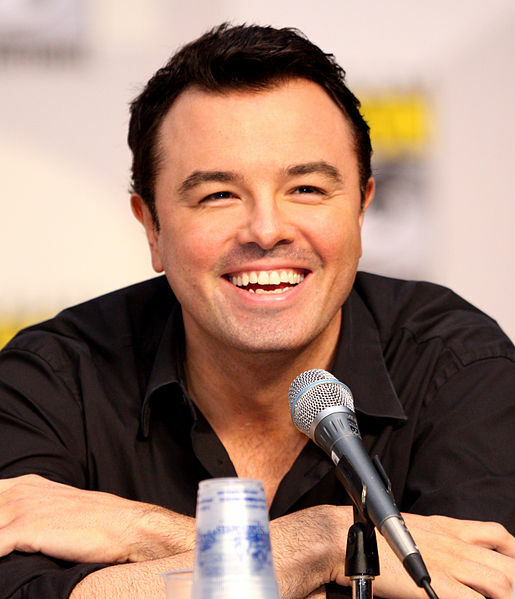 Seth MacFarlane is going to be an amazing host for this year’s Academy Awards. He really is a great entertainer and knows how to make people laugh and feel happy.